Welcome to another instalment of the DIRECTOR SERIES, where we take a look at directors in the world of film and the advancements they have made, the style they possess and where their place is in the history of cinema. Today, we look at the-two time Oscar nominated director...JASON REITMAN. Reitman is well known for directing Juno and Up In The Air (the two critically acclaimed films he was nominated for), Thank You For Smoking, Young Adult, Labor Day, and Men, Women And Children, as well as being the creator of the Hulu Original Series, Casual. You may be wondering to yourself right about now that, "Huh Jason's surname is Reitman, does that mean...", YES, his father is iconic director Ivan Reitman (Ghostbusters, Kindergarten Cop, Twins, and Meatballs), and that may have got Jason in the door, but has talent as a filmmaker has kept him in the film industry for over 10 years now. "What I admired above all in Thank You For Smoking was its style. I enjoyed the satire; I laughed a lot because it's a very funny movie, but laughs are common and satire, as we all know, is what closes on Saturday Night Live. Style is something modern movies can't always find the time for. I am thinking for some reason of The Thin Man (1934), a movie that works in large part because of the way William Powell and Myrna Loy hold themselves, move, and speak; their attitude creates a space between the vulgarities of the plot and the elegance of their personalities, and in that space the humor resides. Their lives are their works of art". Having your first full length feature be compared to The Thin Man... by Roger Ebert! That must be pretty good for your ego! Reitman followed up Thank You For Smoking, with comedy drama Juno, about a high school girl played by Ellen Page (who was nominated for an Oscar for her role as the Sunny D addicted mother to be), who gets pregnant, and wants to give it up to a couple (Jason Bateman and Jennifer Garner), who can't have children of their own. "In 2008, after 17 students under sixteen years of age at a Gloucester, Massachusetts high school became pregnant, Time magazine called it the "Juno Effect". Time stated that some adults dismissed the statistic as an outlier while others accused films such as Juno and Knocked Up for glamorizing teenage pregnancy. Kristelle Miller, an Adolescent Psychology Professor at University of Minnesota-Duluth stated that "[t]he 'Juno effect' is how media glamorizes pregnancy and how it's also... pregnancy is also redemptive of any past problems"." "It touches on larger themes of mass unemployment, cultural alienation and technology as a crutch. But ultimately, it's really an expertly done character study that's a dramatic change of pace from director Jason Reitman's previous two films." Up In The Air was nominated for five Oscars, the most of any Jason Reitman film to date, including Best Picture, Best Adapted Screenplay, Best Actor and two Best Supporting Actress nominations for Anna Kendrick and Vera Farmiga. Reitman was also nominated for Best Director. Reitman's next film, was the 2011 dramedy (one of his favorite genres, apparently) Young Adult, starring Oscar winner Charlize Theron, as Mavis Gary, a young adult fiction ghost-writer who goes back home to try and win the heart of her high school boyfriend, Buddy Slade, portrayed by the underrated Patrick Wilson. "After I left the screening of Young Adult, my thoughts were mixed. With Thank You for Smoking, Juno, and Up in the Air, Jason Reitman has an incredible track record. Those films were all so rewarding. The character of Mavis makes Young Adult tricky to process. As I absorbed it, I realized what a fearless character study it is. That sometimes its funny doesn't hurt." After Young Adult, Reitman ventured into straightforward drama. 2014's Labor Day starring Oscar winner Kate Winslet, and Oscar nominee Josh Brolin was released, surprisingly to mostly negative reviews from critics. Scoring only a 34% on Rotten Tomatoes, with the critics consensus saying... "Kate Winslet and Josh Brolin make for an undeniably compelling pair, but they can't quite rescue Labor Day from the pallid melodrama of its exceedingly ill-advised plot." His next film, Men, Women, and Children (released in 2014), was also released to negative reviews scoring a 31% on rotten tomatoes, with the critics consensus saying... "Men, Women, and Children is timely, but director Jason Reitman's overbearing approach to its themes blunts the movie's impact." 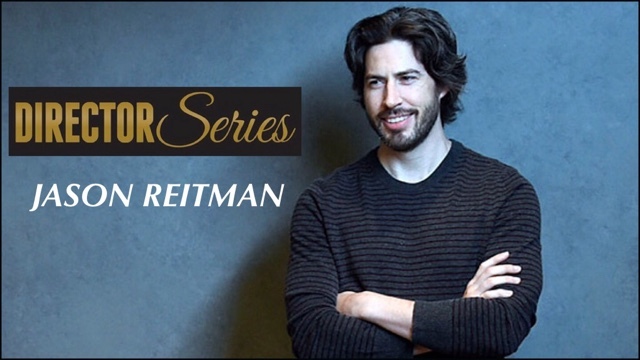 Since then Reitman has ventured into television, producing the Hulu Original series Casual and even directing four episodes out of the twenty-three that have aired on the streaming network. The show has, like his first four feature films, received rave reviews from critics, with the first season scoring 77% on review aggregator Metacritic, and the second season scoring 88% on Metacritic. It was nominated for best series Musical or Comedy at the 73rd annual Golden Globe awards (this past January). Jason Reitman is, in my opinion, one of the best directors of the 21st century. He has directed four films that I LOVE with my entire heart. He has fallen off track a little with his past two, but perhaps that is due to those two films being straight up dramas. I hope you have enjoyed this journey into Jason Reitman's successful career, you can buy all of his films on Blu-Ray, or stream some of them on Netflix, Amazon, or Hulu, where you can also stream his television show, Casual!